"Girls will be challenged to lead, serve, make decisions and reduce the gender equality gap." The Foundation is in the process of building a Gender Violence Recovery Centre behind the USIU campus on the 10-acre land plot, proximal to the Northern by-pass road. Currently, we are engaged in sensitization, awareness and capacity building in form of educational training to the community. KWCWC, a James R. Jordan Foundation International inaugural project, has been implementing community awareness and empowerment programs with a focus to end gender-based violence. Currently, KWCWC is rigorously scaling up its efforts to empower the community health workers with awareness on gender-based violence through the view of equipping them with knowledge and abilities to address and refer gender-based violence cases in Kasarani and its neighboring communities. 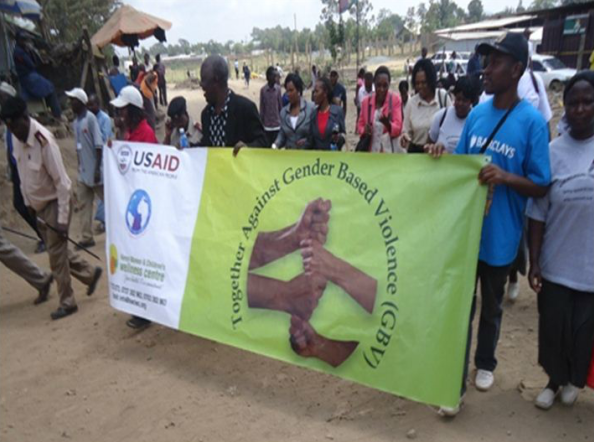 Through a Cooperative Agreement with USAID, KWCWC is facilitating a public awareness campaign and national policies to help reduce the gender-based violence cases in the community. Efforts have sensitized over 40,000 people on gender-based violence awareness, prevention, and referral mechanisms for those affected. Training teachers and students from primary, secondary and tertiary levels on staying safe. School Outreach: The program module in schools has an aim of reaching out to primary, secondary and tertiary level schools in the Kasarani region. The sessions are two hours in length and equip both teachers and students with basic knowledge and skills on school-related gender-based violence response and prevention. Faith-Based Programs: Religious organizations are well-placed in societies to cause positive changes, reaching a varying spectrum of people. These institutions play a key role in gender socialization and act as agents of transformation. 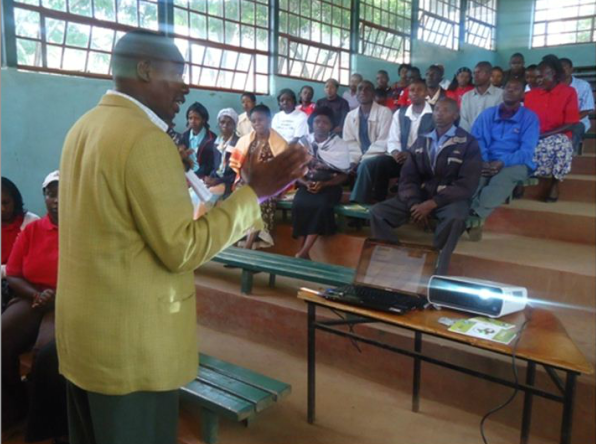 Community Groups: The coordination of the working groups rests upon the District Gender Office in the Kasarani Division. Members meet one a month to identify and prioritize activities and capacity areas required for prevention and responding to gender-based violence in the community. Healthcare Training: KWCWC is committed to ensuring that health care workers (Doctors, Nurses, Clinical Officers) within the Kasarani district are equipped with adequate knowledge, skills and behaviors in the management of gender-based violence cases. 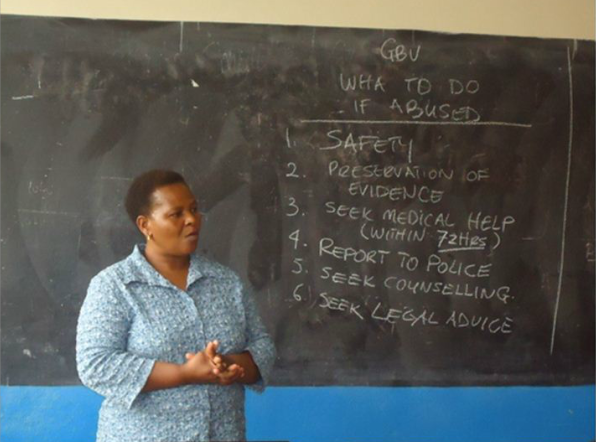 Legal Administration: KWCWC has now begun efforts to train community paralegal officers and judiciary officials and commission them to assist the local administrative leaders in addressing issues of gender-based violence in communities. To learn more about KWCWC and their program initiatives, visit their website at www.kwcwc.org.